Home 11th Bipartite Salary Calculator This will be Your Expected Basic Pay After 11th Bipartite Settlement ! 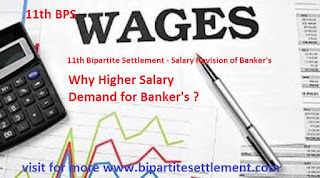 What a banker is expecting from 11th Bipartite Settlement ? After one year of negotiation and salary hike offered by IBA thereon a rough calculation sheet is prepared. 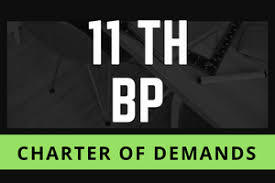 The revised calculation of 11th Bipartite includes all the existing salary data with approximate merging of Dearness Allowance (DA) as on 31st October 2017 with IBA offer of 6% as load factor. The DA as on 31-10-2017 on the exiting basic pay will be at 47.80%. The whole D.A. at 47.80% will be merged with the existing basic pay. Since the entire D.A. outstanding as on 31.10.2017 is merged with the existing Basic Pay. The starting DA will be difference of DA as on date 01.11.2017 and date of settlement.